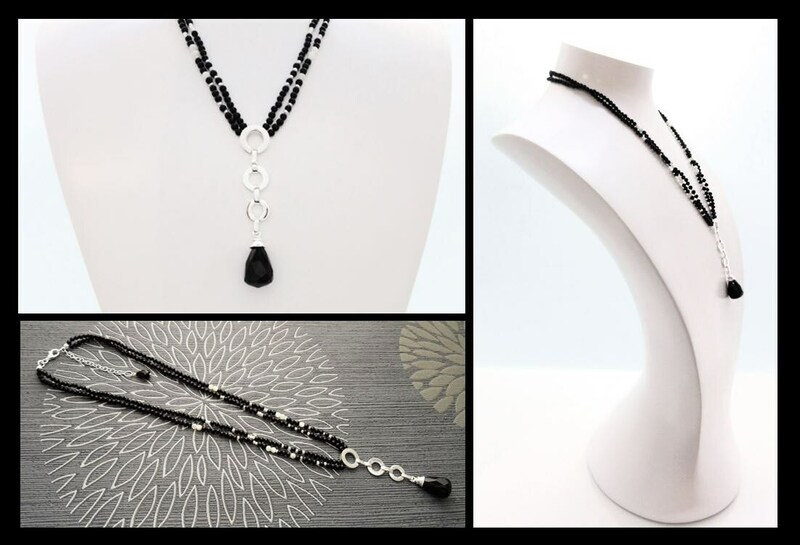 Dramatic and simple in design this Black Onyx Lariat Necklace with a sterling silver central pendant set with a Black Onyx Tear Drop is Gorgeous. Black and silver are both a great combination and Simply stunning! 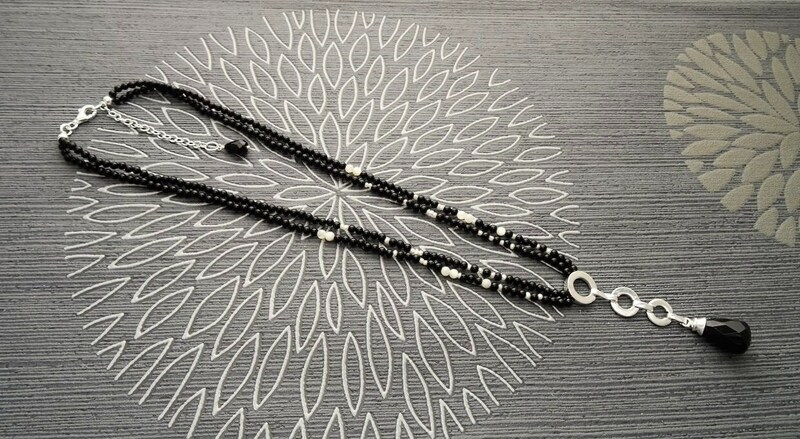 Black Onyx Multi Strands necklace is composed of 2 strands of beads in onyx alternating with small Shell Pearl and mini freshwater pearls. 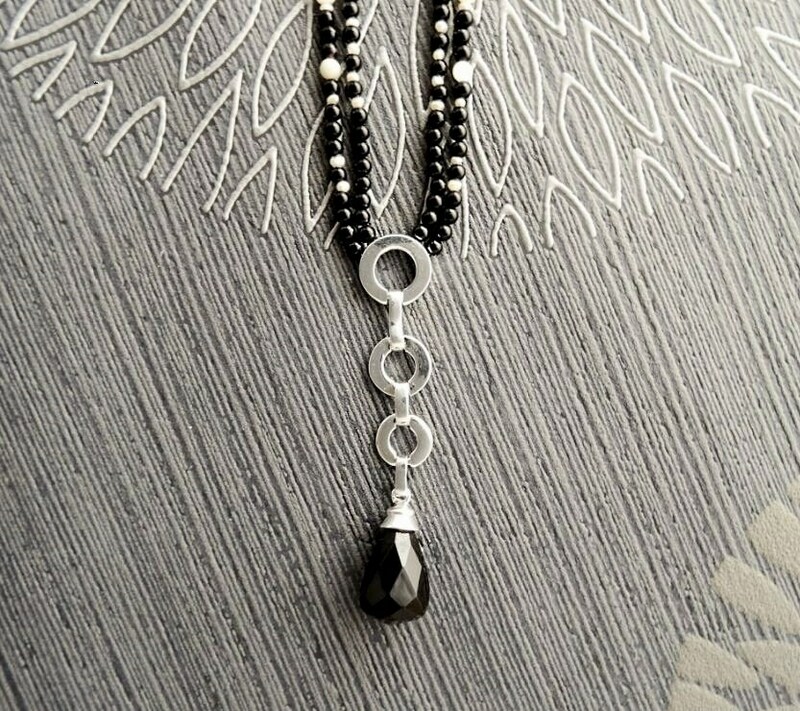 Central pendant is Composed of 3 articulated circles made in sterling Silver ending with a nice drop in faceted onyx gemstone. The total length of the pendant is 6.0 cm long and the widest circle 1.2 cm in diameter. 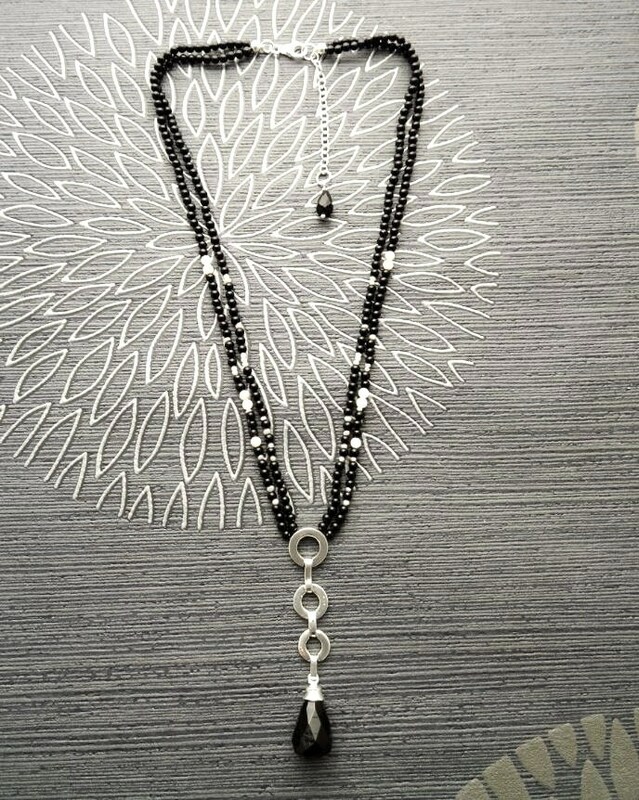 This necklace has a 5 cm silver chain extender with a Onyx drop on the end of the extension. A very pretty finish. Adjustable length from 42 cm to 47 cm (16 1/2 to 18 1/2 inch). Average silver weight: 6.0 gr. This lariat can also be done with Turquoise and Rose Quartz for a great combination. All our jewels are punched with 2 hallmarks. One is the 925 indicating the purity of the silver, and our mark to guarantee our production. Our Maker's Hallmark is registered and certified with the French Assay Office (Bureau de la Garantie) and Swiss Assay Office. Commande bien emballée reçue rapidement! Le collier est très beau, je suis ravie!!! I ordered three items and they were all lovely. The necklace surpassed my expectations. I love it! !